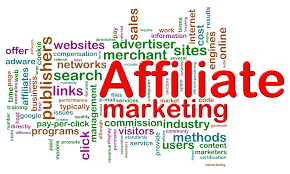 Knowing which products and courses to promote as an affiliate marketer needs careful consideration. When I was just getting started I was taught to choose the most popular products and those that paid the highest commissions. But that did not feel right to me, so I abandoned that advice in favor of the strategy I still use today. I only recommend the products and services I have used and benefited from. I refer to this as “recommending what you love” and it has served me well over the past decade with my affiliate marketing efforts. When I work closely with new online entrepreneurs and I share this method of affiliate marketing, they ask me where to find these products and services. The answer is that exactly what you need is already stored securely on your hard drive or in your cloud storage. Go through your purchases and downloads to see what you have that you are using and getting real value from and that will be the start of your inventory. These days I am inundated with emails from people who would like for me to recommend their products to my community. But seldom are these ones that I would share. I prefer to find valuable products, services, and courses organically, and to then go through them and implement what they have to offer. Then I can make a knowledgeable decision as to whether or not I will recommend them. Also, remember that I make purchases almost every single day. But this does not mean that I will share them with others. I am at a different level in my business than most of the people on my list, so it would not be in their best interest if they were to make similar purchases. Instead, I’m always looking for simple and straightforward products that will help the people in my community to move forward in a logical way. If you are on the product creation side of this equation, think about the target audience you are serving. Then look for the people who also serve the same or a similar market and approach them about promoting your products to their list. Many times I shake my head in disbelief when product creators approach me with something that my list and community would never be interested in hearing about from me. I often joke that most of my people could stand to drop a few pounds and love animals, but that doesn’t mean they would want to purchase products on weight loss or dog training from me. It isn’t how they think of me and not what they signed up for when they opted in to my list. Choose the products and services that make the most sense for your market. Make sure you have purchased, used, and benefited from them first before recommending them to others. This advice will serve you well over time and just makes good sense for all affiliate marketers. This entry was posted in Online Marketing Tips and tagged Affiliate, Marketing, Recommend, Should on February 11, 2017 by Connie Ragen Green.